ESL Three at CNLC: My email was hacked! Oh dear! Some of us were shocked the other day to find that someone had 'broken in' to some of our YAHOO email accounts and had sent an email to all of our contacts. How rude of them! You can see one of those suspicious emails in this picture. Can you see the link in the above email? Obviously the person who sent it from your email account wants your friend to click the link. The best thing you can do at this stage is change your Password to make it stronger. 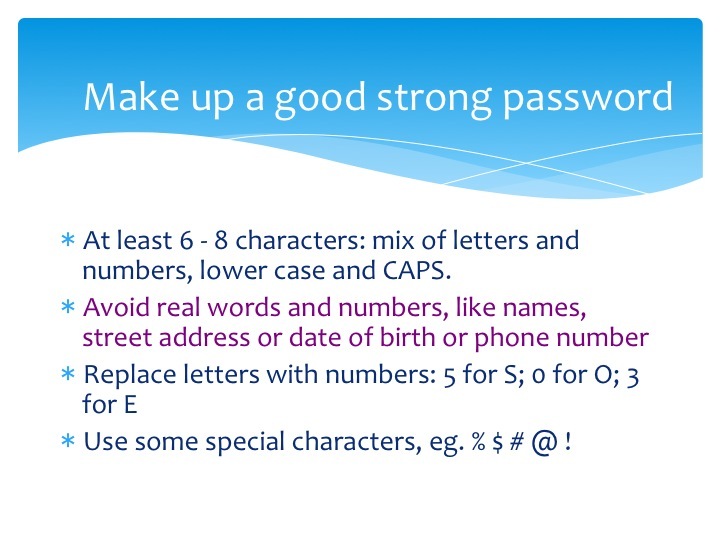 Here are some pointers for making a stronger Password. 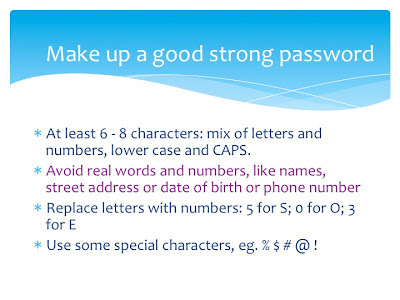 In Week 1 we practised making up new stronger passwords and some of us will have to actually change our Password. Please keep a copy of your Password so you don't forget it - these new stronger passwords are really hard to remember. Click on your name in the top left of the Yahoo screen, select Account Info, sign in again and click on Change your Password. Why does YAHOO ask me for my mobile number? We also talked about how YAHOO is asking for your mobile phone number too nowadays - this will improve the security of your email account. Practise signing IN and OUT of your email account a few times so that it becomes easier to do.